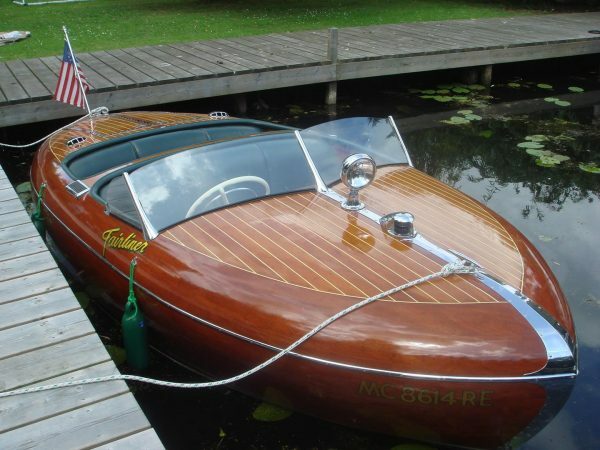 A 1952 ‘Fairliner Torpedo De-Luxe’ SPORTS RUNABOUT, designed by Dair N Long and built by the Western Boatbuilding Company, Tacoma, Washington, USA. The Western Boatbuilding Corporation, founded in 1913, originally built fishing vessels but after the 2nd World War they turned their attention to the expanding leisure boat market and at the end of 1946 launched the Fairliner Torpedo range of sports runabouts.? 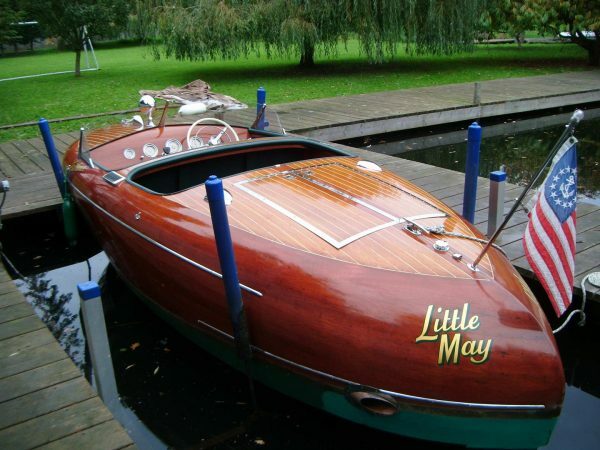 Designed by Dair N Long two engine options were available with a top speed in excess of 42mph. 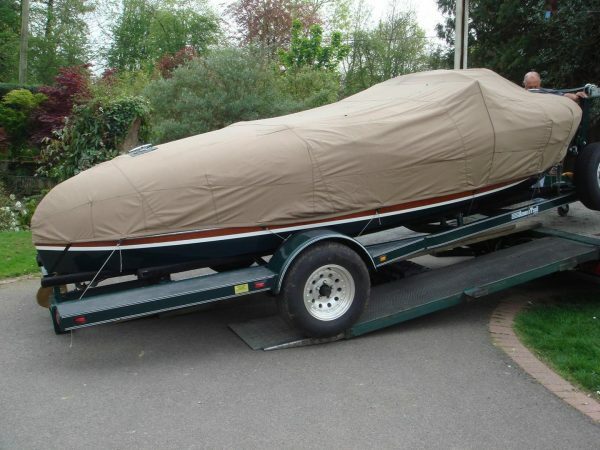 They originally sold for $3,475.00. 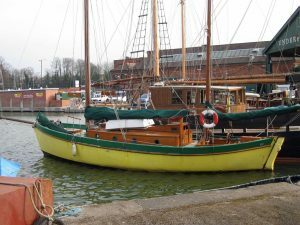 Production ceased in 1956 and a serious boatyard fire destroyed the plans and building jigs. We believe only thirty-five of these unique and stylish boats were ever built and that as few as six have survived, thus making them a very rare post-war sports boat. 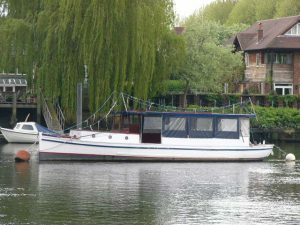 Distinctive torpedo shaped hull with pronounced tumble-home and retrousse stern. 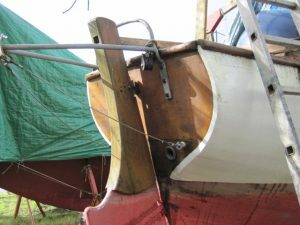 Mahogany and spruce hull, with double spruce bottom, varnished to the waterline and antifouled below, green boot-top and chrome rubbing strips. 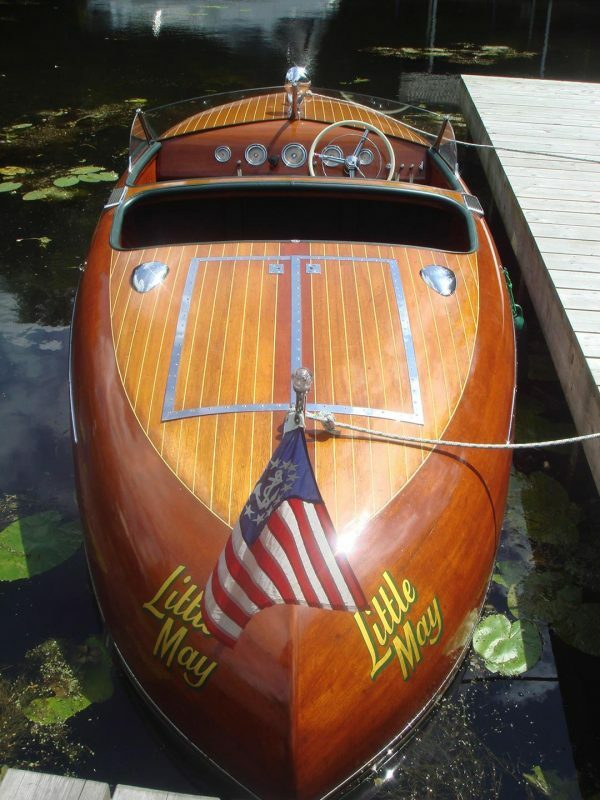 Foredeck of laid spruce planking with white caulking and mahogany king plank. 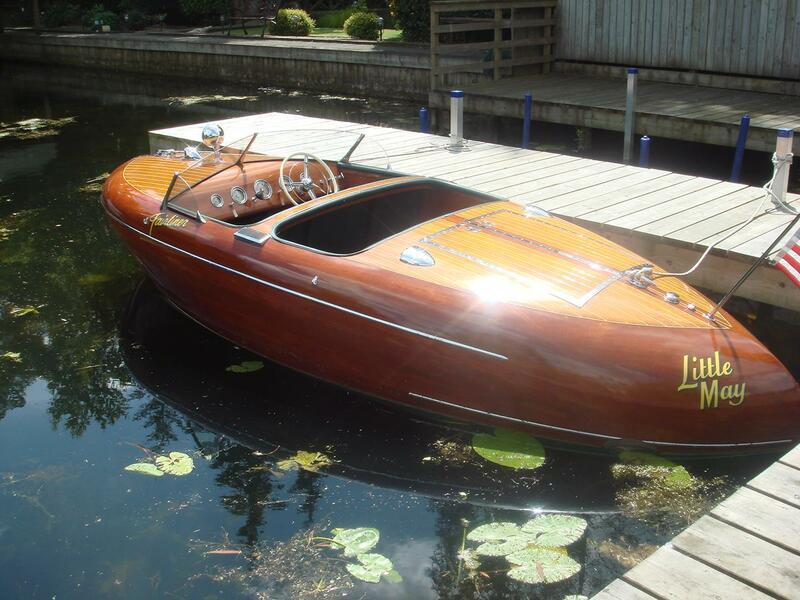 Chromed bronze mooring cleat, navigation lamp and spotlight. Split screen with chrome pillars to forward cockpit with Fairliner logo to either side. 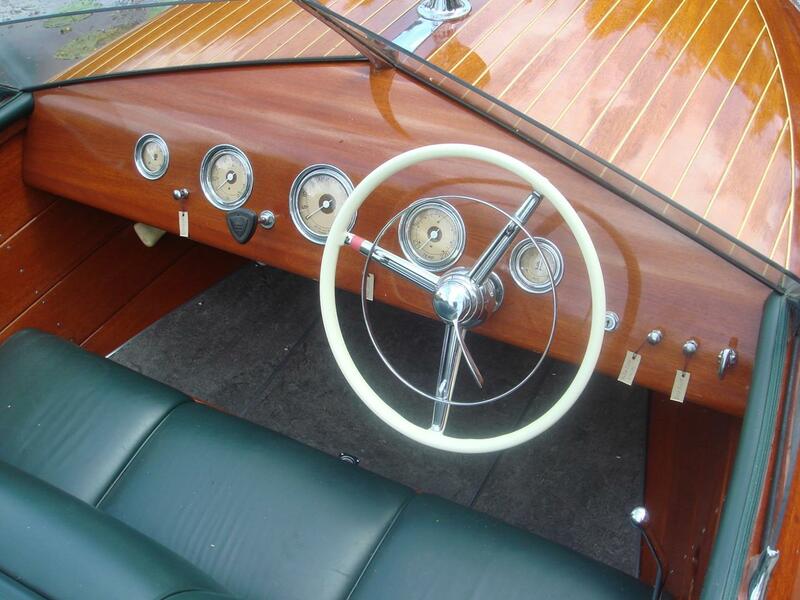 Wheel steering to starboard, hand throttle and floor gear-shift. 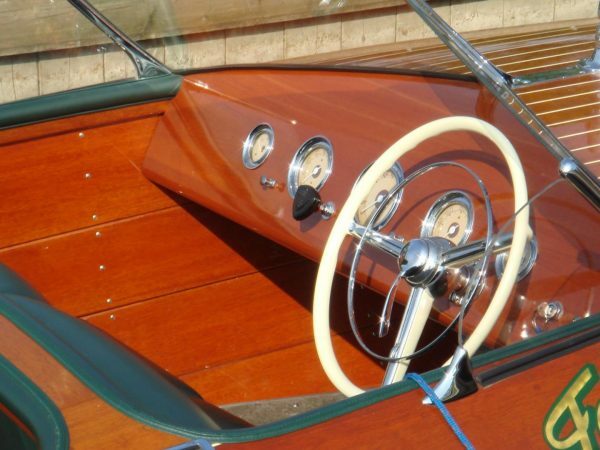 Polished mahogany dashboard with chrome instrument bezels, including rev counter, ammeter, oil pressure, water temp and speedometer. Upholstered full width fitted bench seat in dark green vinyl. Rubber tread plates to either side before the aft cockpit which is fitted with an upholstered full width bench seat. 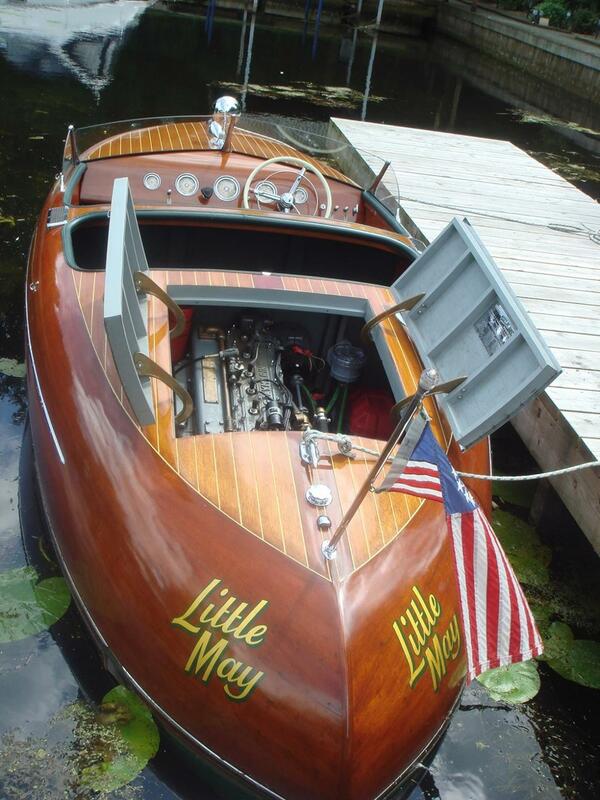 Aft deck of laid spruce planking, mahogany kingplank and white caulking. Chrome cleat, fuel filler cap, chrome vents and ensign socket. 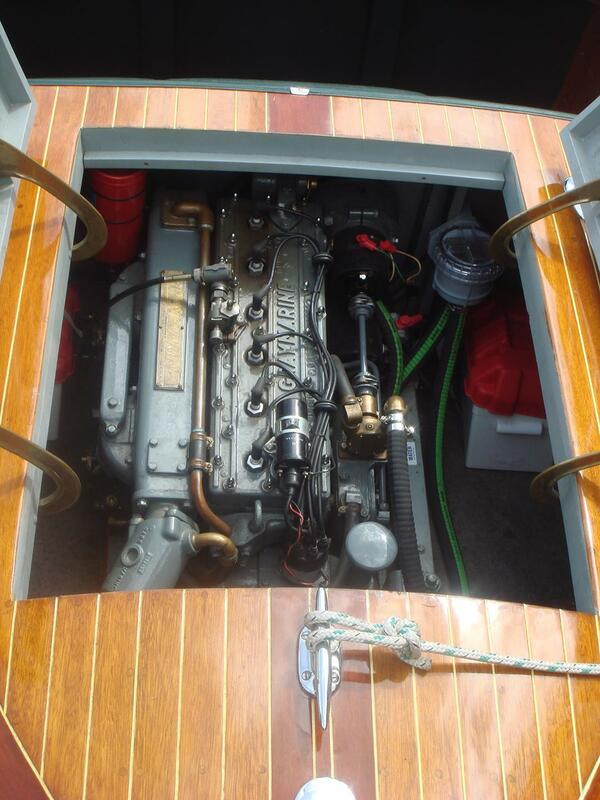 Double chrome strip edged doors lift open to gain access to the engine compartment housing the larger engine option a 150hp Grey Fireball 6 cylinder petrol engine. Twin batteries. 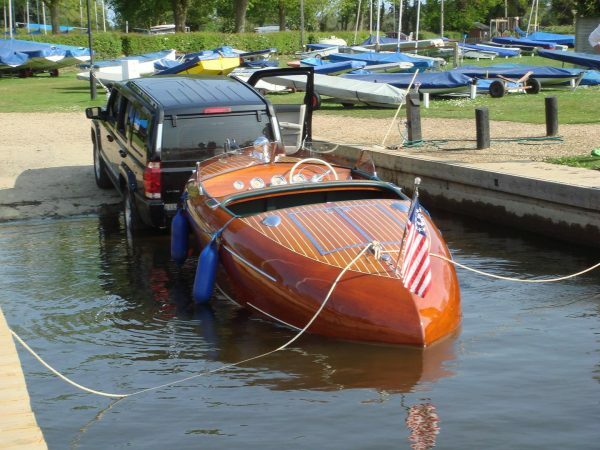 A stunning American sports-boat restored and maintained to concourse standard throughout by dedicated owners.? ‘Little May’ would make a superb addition to a collection of vintage / classic cars or a fine lake runabout.? 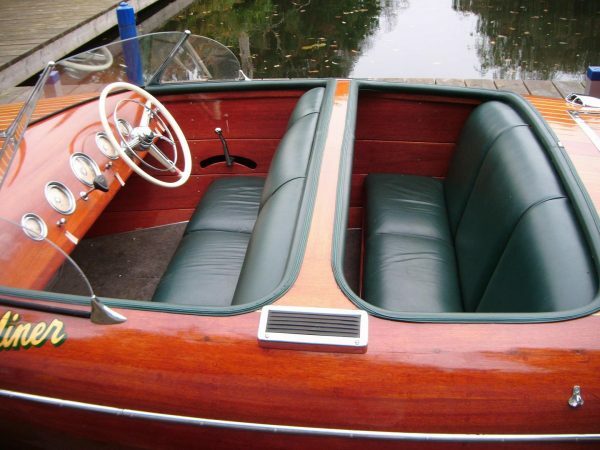 An almost unique opportunity in the UK?to buy a stylish 1950’s gem and impressive your friends and family.